So, like, it’s cowboys vs. aliens. What else? 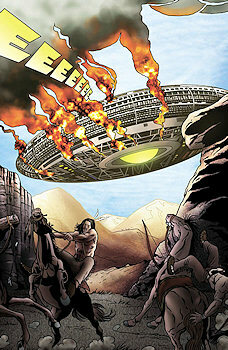 The aliens invade, the cowboys fight back. The cool part is, our cowboys are, like, Daniel Craig and Harrison Ford. And it’s directed by Jon Favreau, who did Iron Man.